Welcome to America’s wondrous and wild frontier. As you push westward, the mountains start to rise ever higher, the wildlife gets more diverse, and solitude is easier to find. From the time of cowboys and pioneers to the modern day, the mountain region of the United States has captured the hearts and minds of both those who call it home, and the those of us just passing through. This region features significantly more parks and nature focused excursions than other parts of the United States – though there is still a selection of worthwhile cities to visit. From Wyoming and Montana all the way to the deserts of the Southwest, we’ll let you know where to go in the Mountain States. Your transportation options will vary considerably depending on whether you are simply visiting cities or heading off into a national park. Major cities are linked by easy-to-navigate interstates (or international airports) and shouldn’t present a problem. Navigating the many parks or other off the beaten path destinations will change on a case-by-case basis. You can often see the major landmarks in well-known parks without much trouble, but you should read-up on the road or trail system before you book your trip. If you want to seek some peace and quiet away from the tourist hotspots, it might involve some complicated maneuvering – and some mountain roads are completely impassable in winter months. There’s no good rule of thumb for what type of weather to expect. You can encounter freezing cold weather up in the mountains and then find the desert below almost unbearably hot (though it’s thankfully a dry heat). Make sure you know how the weather varies in the area you want to visit and pack accordingly. We can’t really be more specific than that. Even if you visit all of these destinations in the same month, you could need everything from a winter coat to a tank top. Make your way into Montana from BC or Alberta and you’ll be greeted by one of America’s most stunning national parks (and that’s saying something when you see the rest of them). 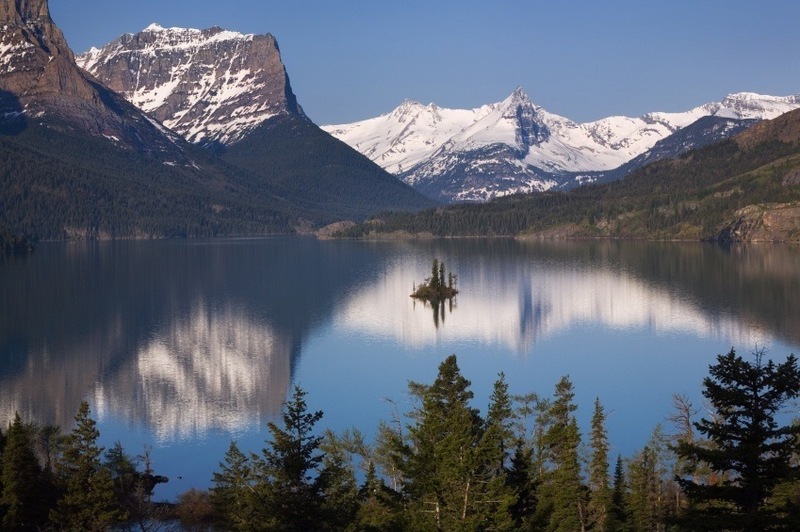 Stretching over 4000 square kilometres, Glacier National Park is home to one of the most fascinating, varied, and preserved ecosystems in the world. Animals ranging from grizzly bears, moose, and lynx to wolverines and goats wander the region – which varies itself between prairie, tundra, and (unsurprisingly) awe-inspiring glacier carved peaks. You can find many lodges and roads (the winding Going-to-the-Sun Road is the most famous) within the park borders. While said road is very popular with tourists, especially between June and September, the park is so vast that you shouldn’t have difficulty finding your own way provided you plan ahead. The park is kept truly wild thanks to the lack of major towns, though it remains accessible. Wander off the beaten path and you’ll be rewarded for it here. Arguably the United States most famous national park (and the first of its kind in the world), Yellowstone has long been featured on numerous television shows and magazines. This is in no small part thanks to Old Faithful Geyser; just one of many geothermal features that dot the landscape. At the centre of the park is the massive Yellowstone Caldera, the largest super volcano in North America – which is still considered active. Beyond the volcanic activity, Yellowstone is home to a wide array of flora and fauna – including bison, wolves, and grizzlies. The landscape here isn’t just picturesque, it’s wholly unique. Between the high altitude lakes and fossil forests, there’s truly no place like Yellowstone on earth. Yes, we know the Rocky Mountains stretch for nearly 5000 km, including a good portion of that inside Canada. 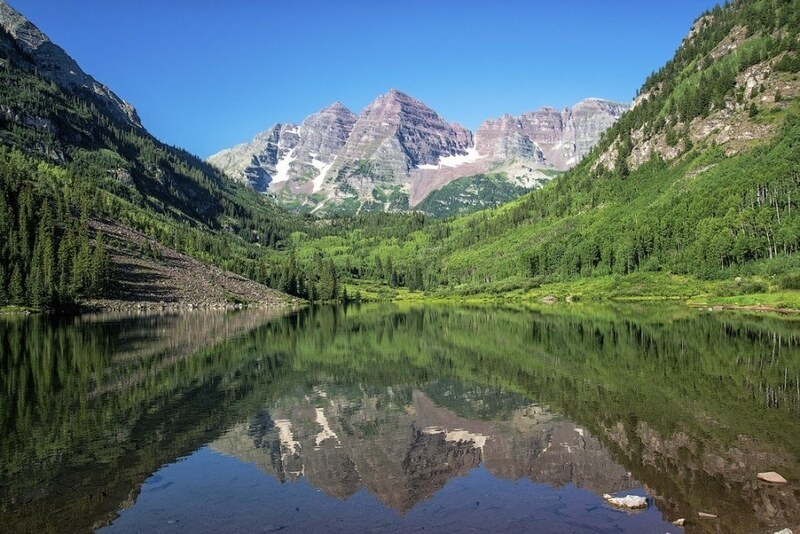 The American Rockies also have plenty to offer, so we’ll just cover a few of the highlights. First off, the two parks we already mentioned include the continent’s foremost mountain range. The many sub ranges of the Rockies also offer a great variety of activities and fabulous sites – for example, the Tetons are home to some great scenery and skiing, especially around Jackson Hole. If you make it down into Colorado, you can find Rocky Mountain National Park. Located northwest of Boulder, the park offers exactly what you’d expect – a selection of some of the best the Rockies have to offer. Towering peaks, lakes, wildlife, camping, an abundance of trails, and much more are found within its borders. If you’re looking to ski, snowboard, or just have an overall blast – be sure to stop by Vail or Aspen. These two municipalities are renowned worldwide for the nearby resorts, which are the favourite haunts of slope novices and experts alike. Take in the trendy and hip escape of Vail (just keep in mind the resort is the most expensive in the country). Aspen offers many of the same thrills, perhaps even cranked up slightly more. Indulge away, brush shoulders with the billionaires and celebrities that frequent the area, and relax in a hot tub – just be sure to bring a large wallet. At the end of the day, you can’t go wrong with either for a heck of a weekend – especially in winter. It might be somewhat of a comedown from the literal highs of the Rockies to arrive in Denver. While it’s know as the Mile High City, the lack of foothills means that while the mountains rise high to the west, the east is flat as far as the eye can see. Despite that, there’s still quite a lot to do in Colorado’s capital – especially for the younger crowd. An exploding microbrewery and restaurant scene, an abundance of beautiful green parks, and a large amount of museums are just a few of the options you have for a day and night in Denver. Even more recently, the city has become popular for another reason – legal recreational marijuana (don’t worry, we won’t tell anyone). Denver is a vibrant cultural hotbed that deserves a visit, and it’s just a quick trip back into the Rockies for more winter sports if you’ve had your fill of city life. Utah’s largest city and capital may strike some as a relatively sleepy metropolis, but there’s still quite a lot to do here. A magnificent and broad food scene (there are many international options on offer) makes this an ideal stop for anyone looking to widen their palette. The LDS (Latter-day Saints or Mormon) Church owns a lot of land here, but there’s also an abundance of young, hip residents that frequent the coffee houses and other up and coming establishments. The Great Salt Lake is of course nearby. It covers the most area of any lake outside of the Great Lakes (though it’s very shallow) and despite its saltiness is home to a great many creatures. Beyond this, it’s only a short drive to the great outdoors from Salt Lake City, with hiking, biking and more available – especially in the Wasatch Mountains. Utah is home to so many amazing parks and natural areas that it was hard to choose which one we wanted to feature here. While any of them (such as Arches or Bryce Canyon) are absolutely worth a trip, you should visit Zion if you only have time for one. The most recognizable feature is Zion Canyon, which works it way through red sandstone cliffs for 24 km. 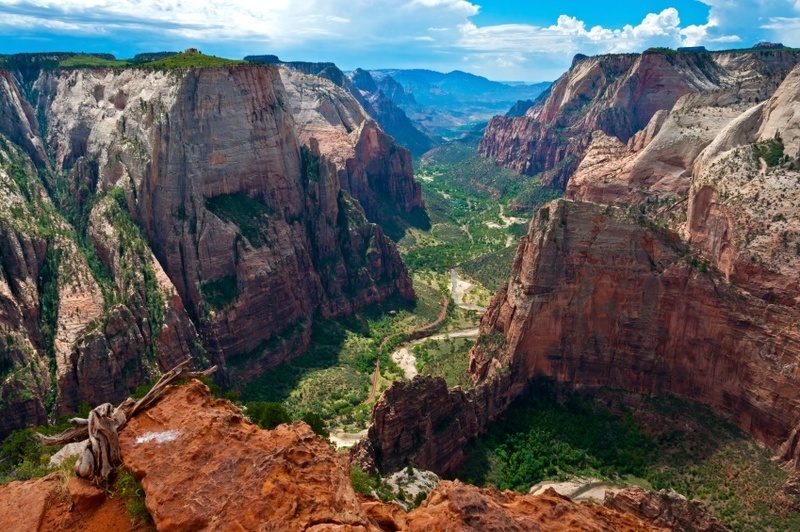 The view over the Canyon from Angels Landing is worth the trip alone, and is something you won’t forget anytime soon. Unfortunately, the trails can become very busy during the summer months, but the taller mesas offer an escape from the crowds. Kolob Canyons is also less visited but no less spectacular. Even with the crowds, it’s worth it to see one of the Southwest’s most beautiful natural areas. While it may not be as well known as larger Albuquerque (you can thank Walter White for that), New Mexico’s capital is a vibrant and culturally fascinating small city. Founded in 1610, Santa Fe has a history stretching back further than almost any settlement in the country (it’s America’s second oldest city). The unique architecture and burgeoning arts and restaurant scenes are sure to delight both your eyes and mouth as you make your way around. The mix of cultures and sensibilities here only adds to the interesting vibe of Santa Fe, with Mexican, Native America, New Age, and more found here. Lastly the scenic beauty (including mountains) that surrounds the city means you’re just a short jaunt away from great hiking, biking, and even skiing. While the Mountain States largest city – Phoenix – also resides in Arizona, Tucson is the more energetic and enjoyable one to visit. Thanks to its location in the Sonoran Desert, you’d be remiss if you didn’t spot at least one of the iconic cacti that populate the region. The city itself is a rich blend of cultures ranging from Anglo to Hispanic to Native American (like Santa Fe), and many great Mexican restaurants can be found here. The University of Arizona gives an enduring energy to the city, with thousands of students making sure the bars and nightclubs stay full of life. This is a great stopover for the younger crowd as you make your way westwards. We can’t do a travel guide for this part of the US and not put the country’s most famous natural landmark on the list. 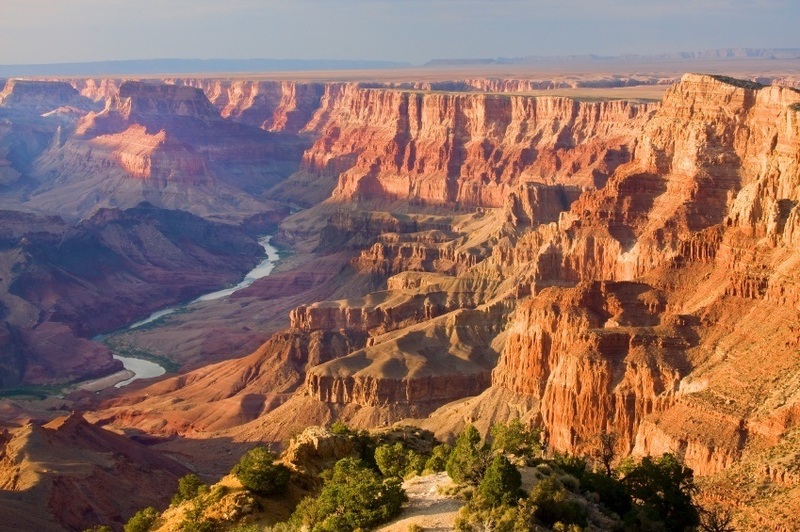 While other canyons elsewhere might point to a higher volume of water or larger area covered, none are as wholly impressive as the Grand Canyon. Whether it’s the sunlight bouncing off the cliffs or the rush of the mighty Colorado River – you’ll walk away completely dumbfounded by the scale of the Canyon. The South Rim is the most visited and also the most spectacular (an obvious correlation). The North Rim is less traveled but possesses charms of its own including a more varied ecosystem. The West Rim on the other hand is home to a glass bridge known as the Skywalk (which has its fair share of critics). All at once massive, bombastic, awe-inspiring, varied, terrifying, unforgiving, and welcoming – the Grand Canyon stands as an enduring reminder of what makes America great. Once again, we come to another national park (there’s a pattern here), and Great Basin in eastern Nevada absolutely deserves a place on this list. It’s one of newer and least visited National Parks, which is a welcome change from the sometimes overwhelming crowds found in more popular destinations such as the Grand Canyon or Zion. The land here is very arid, but also possess a stark beauty and variety of landscapes. The towering Wheeler Peak is the dominating feature in the area, while the fascinating Lehman Caves can be found at its base. 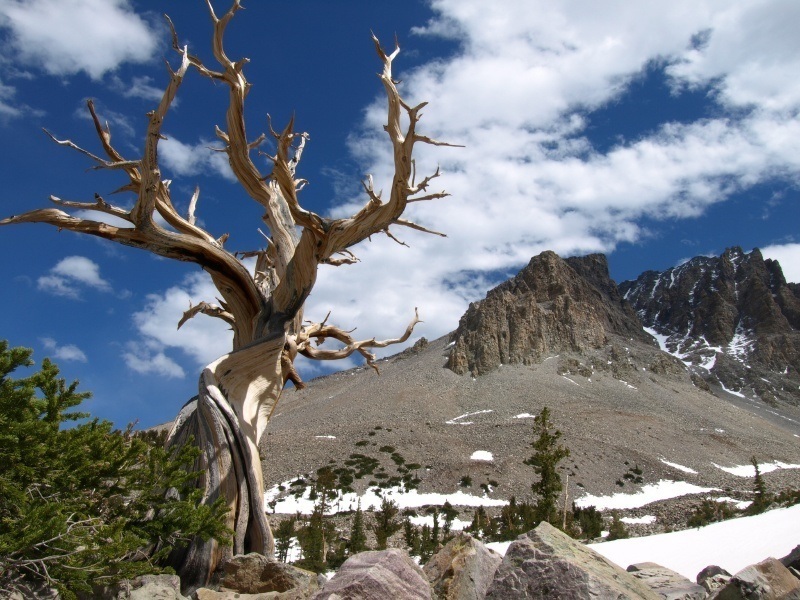 There’s a great deal of hiking to be had here that will take you up peaks and through groves of bristlecone pines. Some of it can be quite tough for the inexperienced but is very rewarding. If you have the chance, be sure to carve out some time to visit this relatively undiscovered gem of a park. We’ve covered a wide variety of examples of the awe-inspiring natural sights in the Mountain States, but the man-made Hoover Dam can provoke a similar reaction. Located on the border of Colorado and Nevada, the Dam was a massive and costly effort during the 1930’s Great Depression. As a result, we now have a working dam that provides power to locations in three states, Lake Mead, and the more that 220 metre high mass of concrete. From the vertigo inducing views to the intricate interior, there’s a lot to see here. And at less than 50 km from Las Vegas, it’s easy to visit one of the West’s most recognizable landmarks. Speaking of Las Vegas, what better way to end your tour of America’s wild west than by losing all your hard earned cash at the blackjack table? All kidding aside (I can’t believe I hit on 18), Sin City is a singular and unique place. Massive super casinos with canals and endless marble, seedy strip clubs, salesmen pushing a great many not technically legal services and goods, celebrity lookalikes, the untouchable glitz and glamour, and everything else that goes along with Las Vegas just adds to the character. We don’t really need to sell the city much more; if you’re planning a trip, you likely already know what you’re getting into. Just be warned that you should have a sizable amount of money saved up if you really want to take advantage of what Las Vegas has to offer. The surrounding Mojave Desert and mountains are also home to a great variety of adventures if you need a break from the bustle of life in the city. From the minute you see the neon lights, you know you’ll be in for a good time – just don’t tell us about it. The price of a trip to the Mountain States (or anywhere in the country for that matter) will vary considerably depending on where you’re going, how you’re getting there, how long you stay, what you plan on doing, etc. Round trip flights between Pearson and Denver can range between the $600 – $1000 Canadian mark, though this can change considerably depending on who you fly with and when you book. Once you’re in the United States, you’ll find a wide variety of prices. An average day’s expenses could end up around $260 with $128 for accommodation and $47 for food. This is just an average however, and some cities and areas are much cheaper than others. Most of the locations on this list are natural landmarks or parks and while some fascinating areas can be seen for free, others require entrance fees (especially if you’re staying overnight in a park). 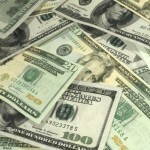 Places like Vail, Aspen, and Las Vegas can be a heavy drain on the finances. 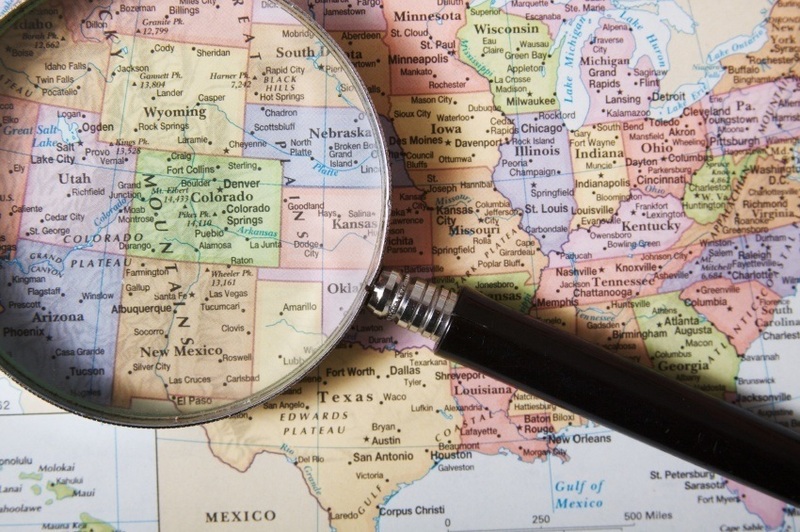 Nowhere else in the country are your expenses as likely to vary so much than in the Mountain States. 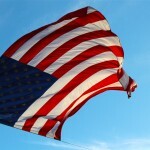 The United States is a safe country for the most part. There is no nationwide advisory in effect and normal security procedures are recommended throughout according to the Canadian government. Obviously, there are areas of certain cities that are more dangerous but this is all on a case-by-case basis. Violent crime is generally more common in the US than in Canada, so definitely know your area of the city before you start walking around. These are just a few examples of where to go in the Mountain States, there’s tons more to see and do. If you think somewhere else should be on the list, let us know in the comments. You can also get our Eastern and Central US Travel Guides if you’re looking to stay east of the Rockies!